Let's level up in esports together! 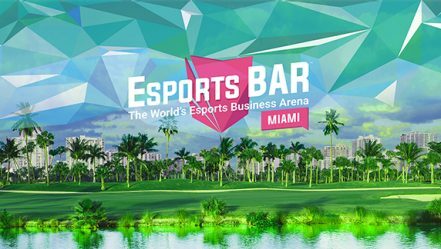 At Esports BAR, we are committed to transforming the sport of the digital generation into the future of entertainment, by allowing esports tastemakers and non-endemic top-management executives to meet and shape esports future. 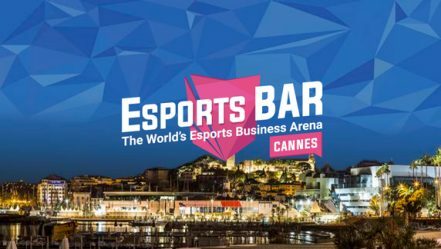 Esports BAR mission is to provide the entertainment industry with the world's esports business event, creating the most productive and meaningful enjoyable experiences, in Cannes and in Miami. Ready to level up in esports together? Reed MIDEM has aligned itself with a team of elite sector professionals, directly invested in the future of esports. Arnd brings professional gamers and esports enthusiasts the best of competitive events, content and tournaments, both globally and in the Nordics. Esport’s pioneer and entrepreneur since 2000, Matthieu is the former CEO of Oxent (acquired by Webedia), Games Services and Ligarena. He co-founded the ESWC in 2003, Toornament.com in 2013 and France Esports in 2016. Leo has 20 years of experience in esports. Currently, he leads the Brazilian offices of ESL and is one of the co-founders and partner at BBL, the newly founded Brazilian Esports Holding Group, that born with the mission of bringing together all verticals around the esports ecosystem inone single hub. Justin Dellario is the Head of Esports Programs for Twitch, where he oversees esports content and operations for the world's largest video game live streaming service. Jason was brought into Alisports to manage the China event and marketing teams, as well as to build out international capabilities for the company. Jason is responsible for the strategic planning and execution of esport competition IPs around the world. 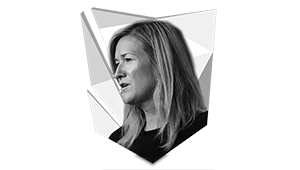 In her current role as CEO and Chairman of Super League Gaming, Ann drives the vision of giving competitive gamers entirely new ways to enjoy the games they love through the formation of the leading platform for amateur eSports. Sidney has worked in the video game industry since 1998. He owns the ROX Tigers, one of top Korean League of Legends professional team and ROX Knee, One of the Legendary Tekken Player in the world and ROX Armada No. 1 Vainglory team in the world (2016). Susie Kim is a veteran esports personality, host, translator, and interviewer, and she was General Manager of the London Spitfire during their championship run. For over 10 years, her mission has been to bridge Korean and western cultures and the care she has put into her work and players has earned her the title " mom of esports". With a storied career that has lasted nearly as long as the industry itself, Susie continues to be at the forefront of the evolution of esports. Now in the role of Director of Youth Esports Education and Training for Cloud9, she continues to use her insight and influence to help propel the industry towards broader horizons. Founder of the now world-renowned clan, SK-Gaming, Ralf is now CEO of ESL, the largest video game event company in the world. As a passionate gamer himself, he is constantly striving to put eSports up there alongside ‘traditional’ sports. Co-founder of Major League Gaming, Mike is SVP of Activision Blizzard Media Networks, a division devoted to creating the best esports experiences for fans across games, platforms and geographies. Todd leads the Competitive Gaming Division with the goal of making competitive gaming more accessible. A 16 year veteran at EA, he formally led the Global Marketing and Product Marketing Organizations as well as the EA SPORTS brand. Wouter joined Fnatic in 2015 and is taking the Fnatic brand and organisation to the next level with his vast leadership and marketing experience. "I'm thrilled to have been part of the inaugural Esports BAR. This format is exactly what I was dreaming for: meeting the whole esports industry at the same time and in a great place. This is the most efficient event I've attended so far." "Every first is a journey to something unknown. Esports BAR was such a fantastic experience and not only made the unknown exciting but exceeded all expectations. Cannes, the beach, the people, veterans and very interesting new people plus the format made it the best esports conference I attended so far and makes me look forward to the next iteration." 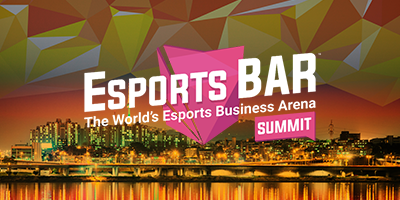 "Esports BAR had by far the largest amount of decision-makers and industry leaders of any conference I’ve been to. The meeting organized were informative, meaningful and well-rounded. I’ve been able to make several meaningful connections and met players in the esports space who are pioneering the next generation of content." "By far the most productive conference I've attended. The innovative format provided a perfect combination of efficient meetings and fun social interactions withindustry leaders from around the world." Reed Exhibitions, the world’s leading exhibition and conference organiser, and its subsidiary Reed MIDEM, have a 50-year history of helping entertainment businesses grow through international professional markets. More than 60,000 leading executives from over 130 countries have already experienced Reed MIDEM B2B events all over the world (MIPCOM, Midem and MIPTV).